Twenty years ago today, I was a derivatives lawyer working for NatWest Capital Markets. Along with many others, I have reason to remember that first week of November, back in 1991. The biggest (yes, literally) confidence trickster in modern times (a.k.a. Robert Maxwell) had fallen from his luxury yacht, The Lady Ghislaine, on Tuesday, November 5, off the coast of the Canary Islands and drowned. We didn’t know it at the time, but in the weeks and months before he toppled over the Lady Ghislaine’s deck rail (under his own steam or assisted by Israeli Special Forces – we shall never know), he had helped himself to £440 million from The Mirror Group Pension Fund. Whilst he was about it, and because £440m is never enough, he also blagged, lied and schmoozed another £327m on the side. I played a role in his audacious heist although, until now, the episode has been parked in a dark memory drawer marked “TOXIC”. Six months earlier, I was at my desk in the Legal Department of NatWest Capital Markets, 1st Floor, 135 Bishopsgate, when I was handed a message telling me to call one Mr Andrews, who had an urgent request. I was to call immediately. Mr Andrews, it turned out, worked for Mirror Group Newspapers and he had a very specific task he wanted me to perform. He still works in the industry so I’ve changed his name. 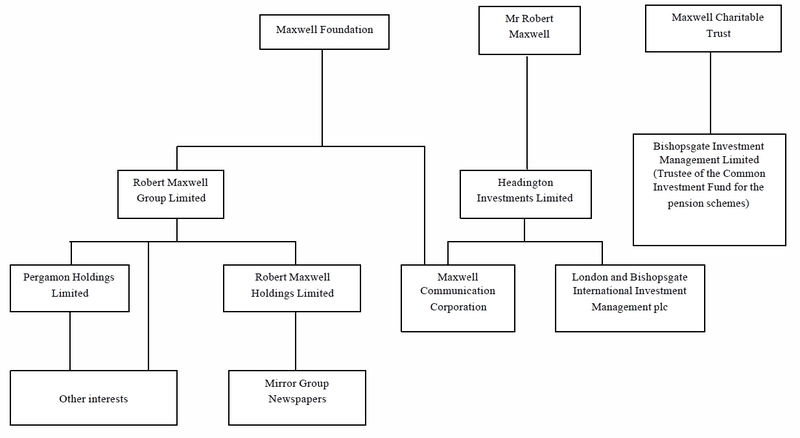 A year or so before, NatWest had entered into a large derivatives transaction with a Maxwell company (Maxwell Communication Corporation) and Mr Andrews wanted me to assign the transaction to a sister company (Robert Maxwell Group Limited). There was to be no fee for the transfer; he just wanted me to do it. (I was the lawyer who handled derivatives contracts and such like). If there is one thing you learn at law school, it is that you never, ever, change the terms of a contract on behalf of your employers without very clear instructions to do so. This is so basic it seems unnecessary to point it out. Nonetheless, I explained the principle to Mr Andrews and told him that without authorisation from NatWest’s Corporate Risk Department, no such change was possible. Mr Andrews said this attitude would cause deep dismay to his boss, Kevin Maxwell, to which I replied that Kevin’s dismay would be as nothing compared to mine if I made the change without full and proper authorisation. I recall several subsequent phone calls over the following weeks in which Mr Andrews and I exchanged frank views. His position was that this name change was very important to The Mirror Group, an important client of NatWest. My position was that it was all the more vital to obtain approval from my control tower. One day Kevin himself called. He was super polite – even when I explained The Principle. Eventually, the necessary approvals were indeed issued by our Corporate Risk Department and I cracked on with the assignment. On the instructions of our corporate risk guys I replaced the bank’s existing Maxwell counterparty with the new one. In August, 1991, it finally dawned on the NatWest Corporate Risk Department that all was not as it seemed; but it was too little, too late. It turned out that they had been royally hoodwinked, scammed, turned over. 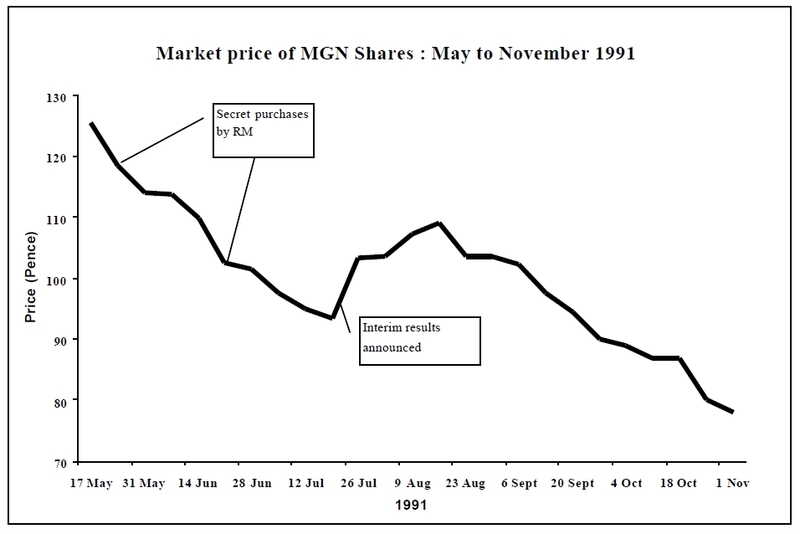 Somehow, the bank’s credit risk controllers had failed to detect that Robert Maxwell Group PLC didn’t have as many assets as Maxwell Communication Corporation (the original counterparty). In fact, Robert Maxwell Group PLC didn’t have ANY assets whatsoever. Maxwell had nicked them. Which was very bad news indeed, as NatWest was owed around £150m under the terms of the derivatives transaction (the cost to the bank of replacing the transaction in the open market) and its new counterparty was completely insolvent. Towards the end of 1991, the Maxwell empire finally imploded in a ball of scandal and public outrage. It quickly became clear that during the summer of ’91 Robert Maxwell had systematically stolen hundreds of millions from all and sundry in an effort to support his mortally wounded businesses and, in particular, his beloved but ailing Mirror Group Newspaper. When Maxwell ran out of money, he just scooped up the Mirror Group Pension Fund’s assets and moved his liabilities into worthless companies within the Maxwell group. His banks were all two steps behind him. The whole catastrophic affair ended up in the criminal court – as those of you who were around at the time, will remember. I was put on standby to testify at Kevin’s trial, but in the final analysis this particular transaction never made it to the jury and this piece of the story was never told. Over a beer, I was told by a friend working at the law firm which put the case together, that it was felt the transaction details would be too complex for the jury to grasp and, anyway, it was believed there were ample other grounds for securing a conviction. An innocuous phone call in the middle of a bland and unremarkable afternoon asking you to do something mundane, but plainly unorthodox, may be part of an elaborate fraud that will cost your employer £150m. It may take a long time, but eventually the bomb will go off. Ultimately, in the case of Robert Maxwell, The System’s checks and balances failed. Sometimes, that happens somewhere else in the chain and you cannot prevent it. Just make sure you’re not that weakest link.